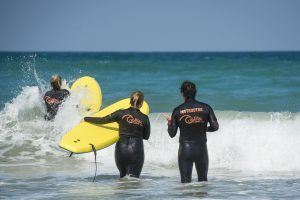 and use of the equipment from our surf hire shop. 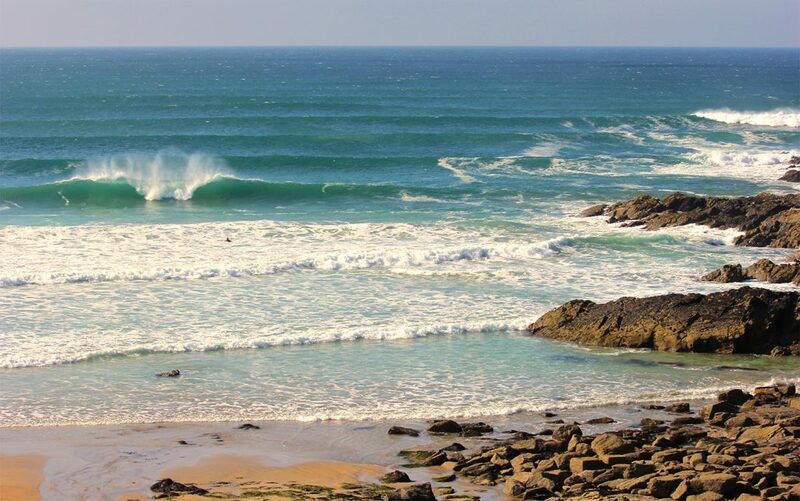 Group surf lesson + Equipment hire for the remainder of the day! After a warm welcome from your surf coach, you’ll wriggle into a wetsuit and grab a surfboard. After a short walk to the beach, it’s time for your lesson to get started. 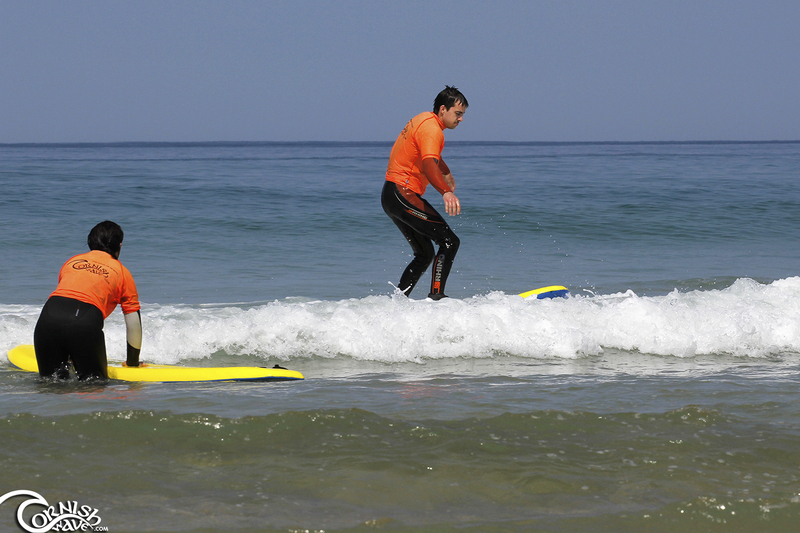 By the end of the lesson, you’ll have all the information you need for you to be able to surf safely on your own. 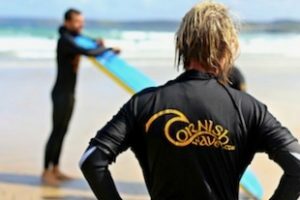 We cover beach & surf basic safety, timing & how to catch a wave before mastering your pop up and riding waves back to the beach. Either, stay down the beach and make a full day of it or head back to base for a breather before hitting the waves once again. WHAT TIME DO I NEED TO BE BACK? Typically, we close at 5pm and kindly ask that you are back by 4.30pm. Please ask us if you would like to arrange a longer period. WHAT BEACH DO YOU USE FOR YOUR LESSONS? 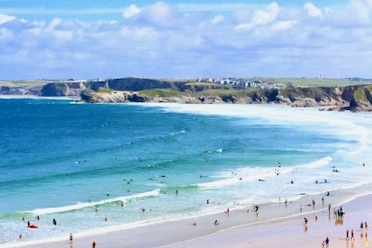 We are based in the heart of Newquay. 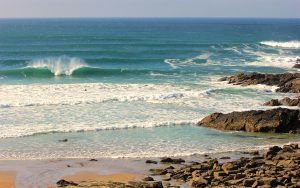 Towan beach is across the road and the closest to us, Fistral beach is a 5 minute walk away. 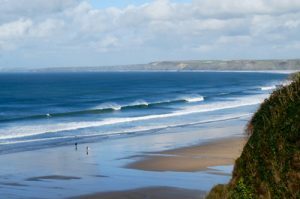 Depending on what the surf conditions are doing each day, will dictate which beach is best. CAN I STAY DOWN THE BEACH AFTER THE LESSON? Yes, you are welcome to stay on the beach once your lesson has finished or return to our base for a break before heading back out. It’s up to you. 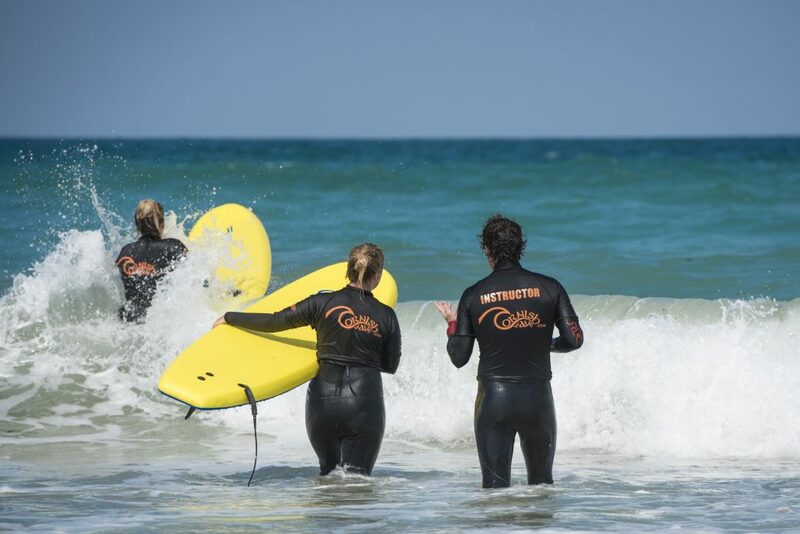 Along with our private surf lessons this is one of our most popular with many individuals wanting to get the most out of their time in the surf. Enjoy what Cornwall, Newquay beaches have to offer with a professional surfing lesson & make the most of the day with equipment hire for the rest of the day.